Facebook was only the beginning. Unbeknownst to him, Moosa’s phone and computer had been infected with a highly sophisticated piece of spyware, built and sold in secret. 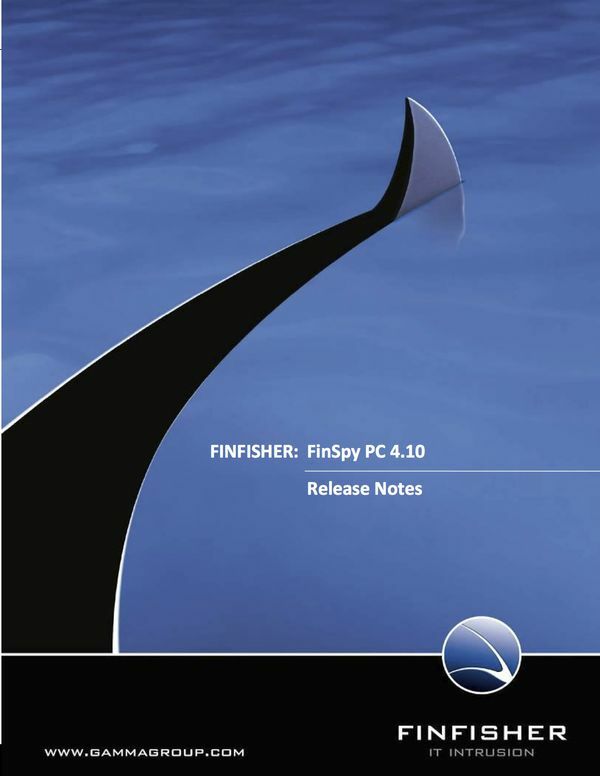 FinFisher was created and sold by Gamma International, an international surveillance company with offices in London and Frankfurt. The Gamma brochures promised remote monitoring and keylogging — they even said they could listen in on a target’s Skype calls in real time. But now Marquis-Boire had caught a FinFisher sample in the wild, and thanks to the leaked brochures, he had a roadmap of everything the implant could do. Instead of a few outposts, they found an army. FinFisher’s agents were everywhere: Japan, Germany, India, Serbia, Mongolia — there were even servers in the US. It was an atlas of personal invasions. All told, 25 countries hosted a server of some kind, each hired out to a different regime and pointing the x-ray at a different enemy of the state. Marquis-Boire published the work in a series of three landmark papers from July 2012 to March of 2013, each titled with a cheeky Bond pun like ”The Smartphone Who Loved Me” or “You Only Click Twice.” The papers laid out everything he knew about FinFisher’s network, revealing a global surveillance network that was being hired out to some of the world’s most repressive governments. Targeted exploits weren’t just for the NSA anymore. They were available to anyone who could pay for them. Once the papers were published, FinFisher went back underground. The coders behind the program began to change its routines and filenames enough to let it slip by unnoticed. Their primary concern stems not from what effect FinFisher could have on their activism, but from the specter of having their personal lives invaded — the same fundamental privacy concern behind much of the NSA surveillance controversies in the US. I don’t own any guns, but the Amazon Air drones tempt me to buy a rifle. It would be so much fun to sit on my front porch and shoot at the drones as they buzz by. It’s cold today in Ballard but the sky is marvelously blue. Today I’d put on a ski cap and grab a bottle of good whisky and do my part to keep the sky clean. I might argue it’s a matter of collateral damage. I don’t know how I could tell Amazon’s harmless, happy-day drones from Google’s real-time people-watchers — or those of the police or the NSA. It’s best to shoot them all down. Or I might argue that it’s just plain fun. So much fun.